"LULO" on 2 Wheels | "Eres lo que has viajado"
I finished the R3 Roadbook Rally – Faro (Portugal) 2017… …another dream come true! [en] The last Autumn I went to SPAIN (Galicia) to do a Roadbook Rally Training by: Gañanes-Rally. My friend Javi Varela (Jefe Gañan) had everything ready to can ride. Was a fantastic week training and traveling for my homeland. [es] El pasado otoño fui a España (Galicia) para hacer un Entrenamiento Rally con Roadbook por Gañanes-Rally. Mi amigo Javi Varela (Jefe Gañan) tenía todo preparado para rodar. Fue una fantastica semana entrenando y viajando por mi tierra. Traveling through this paradise called Galicia! [EN] The 5/6th August 2017 in the Kielder Forest (Northumberland – UK) I went to the Kielder K2 Rally. 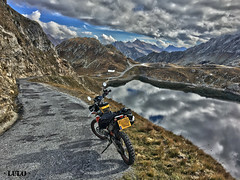 Was my first Roadbook Navigation Rally. [ES] El 5-6 de Agosto en el bosque de Kielder en Northumberland (Reino Unido) fui al Kielder K2 Rally, fue mi primer Rally de Navegación con Roadbook. LULO of Gañanes Rally Team, ready to go to Kielder K2 Rally in Northumberland. Ready to Start my first RALLY! Robert Hughes of RallyMoto UK came to get me and my bike to go back to the Bivouac but before we had to close the gates of the forest. I will be there in the next Kielder K2 Rally 2018!!! Another stunning day riding for Country Lanes & By-Ways for Hampshire & West Berkshire to enjoy of the English Spring with lots of “Bluebells” for everywhere. Stunning ride for Hampshire, Wiltshire & Dorset (South of England). 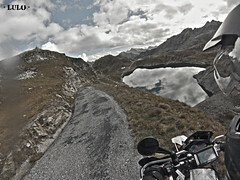 The excuse Was use a old GPS Track and hunt WP (Waypoints), a different way to ride!